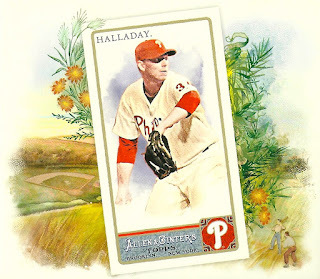 This is not a fun post to write, but I feel like I have to write something to mark the tragic and untimely passing of Roy Halladay. All work stopped on Tuesday afternoon as the first Tweets started showing up that a plane owned by Halladay had crashed in Florida. A short while later we learned that a person on board the crashed plane had died, and then it was only a matter of time before local law enforcement confirmed the deceased was Halladay. He was 40 and he leaves behind a wife, two sons and countless fans. 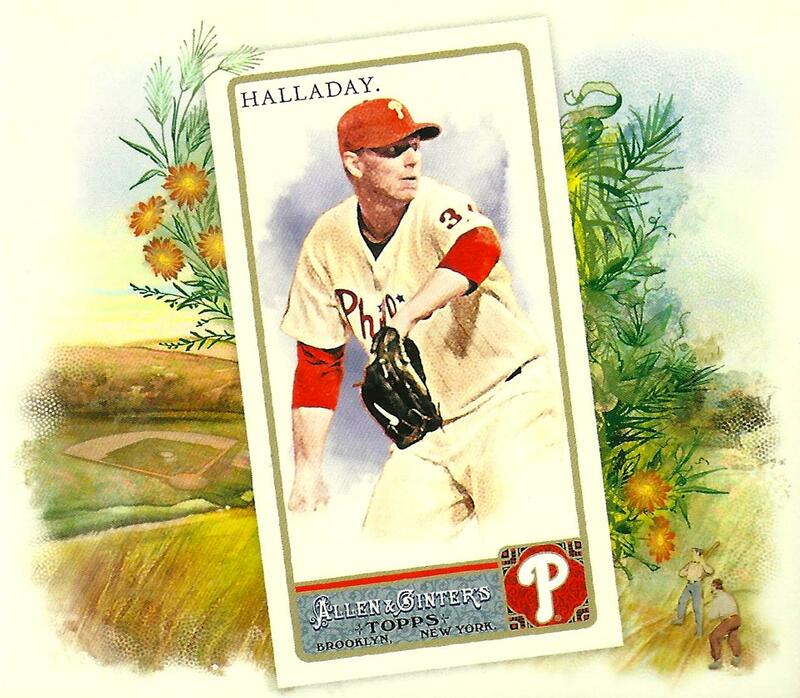 Halladay pitched in Philadelphia for four seasons. 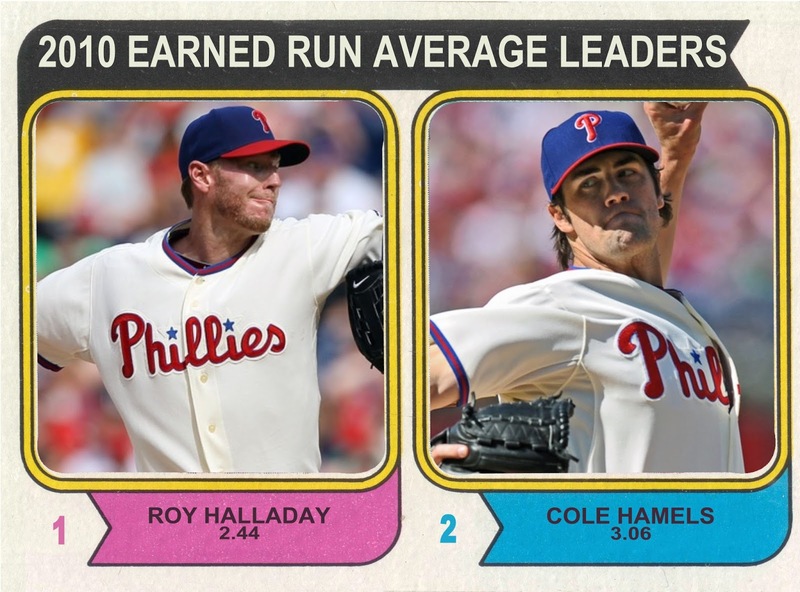 While the last two seasons were mostly forgettable, his first two seasons were pure magic. 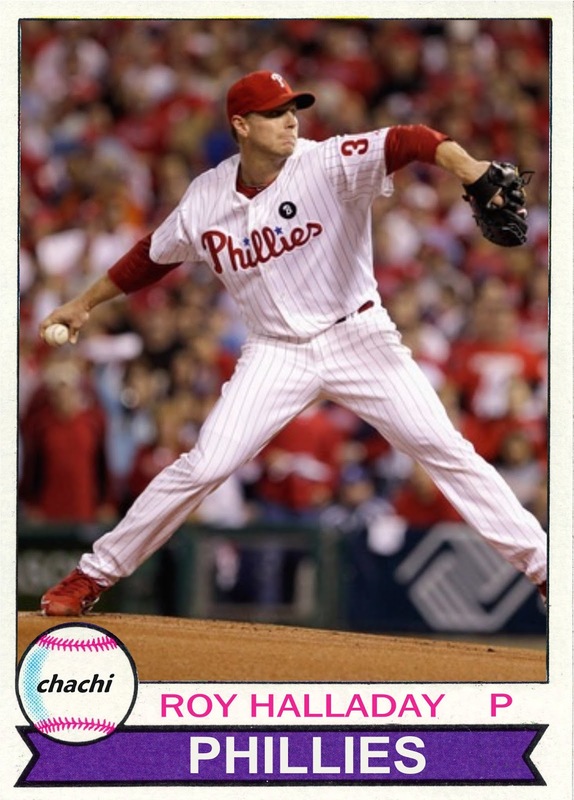 He was incredibly fun to watch and it was exciting that such a dominant pitcher and a fierce competitor was pitching for us, for the Phillies. 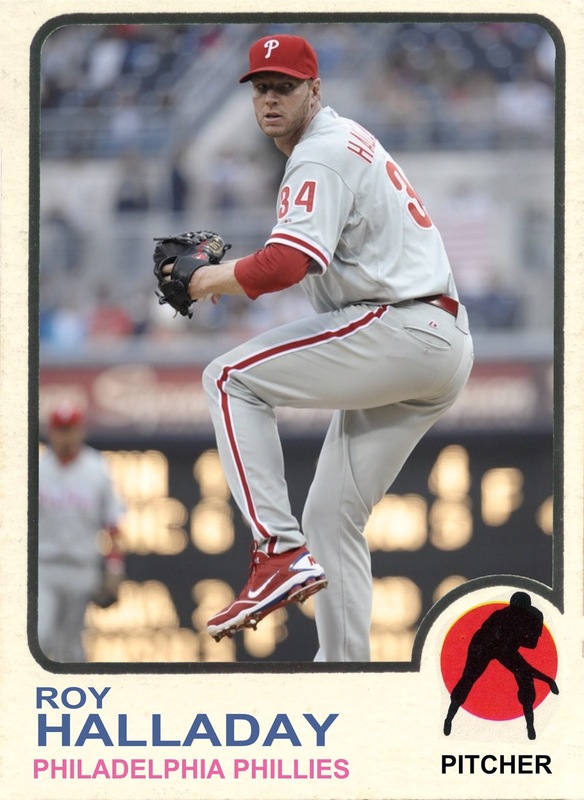 Acquired from the Blue Jays in December 2009 for three prospects, Halladay threw his first Phillies shutout against the Braves on the day our youngest son Ben was born. 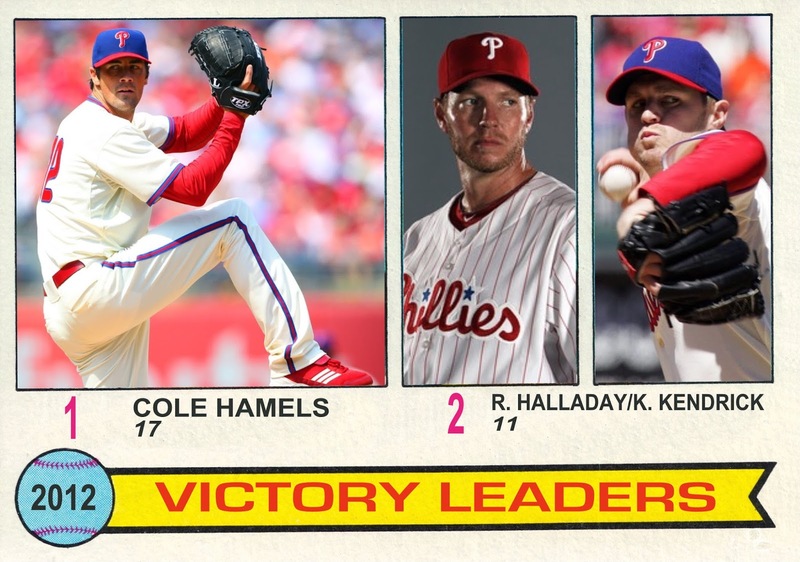 In his 11th start with the Phillies, a little more than a month later, he authored a perfect game in Miami. 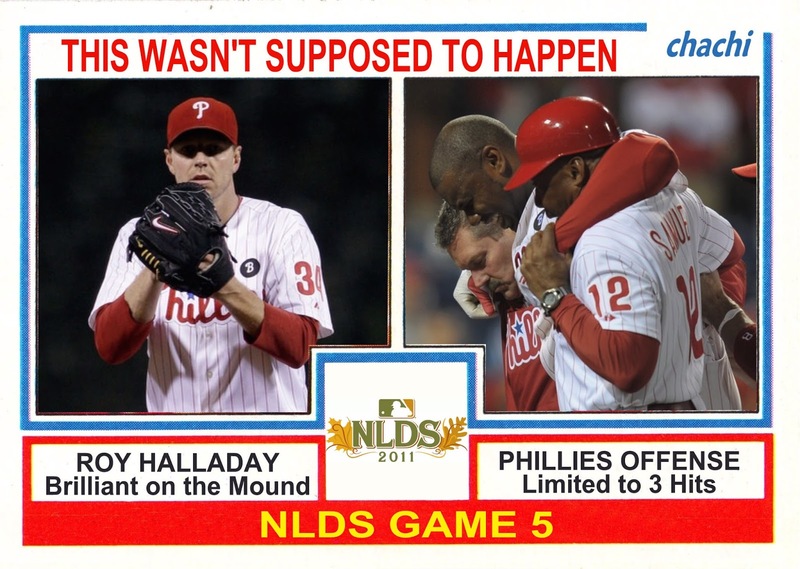 Halladay helped lead the team to the postseason where he kicked off the playoffs with a no-hitter against the Reds in Game 1 of the NLDS. 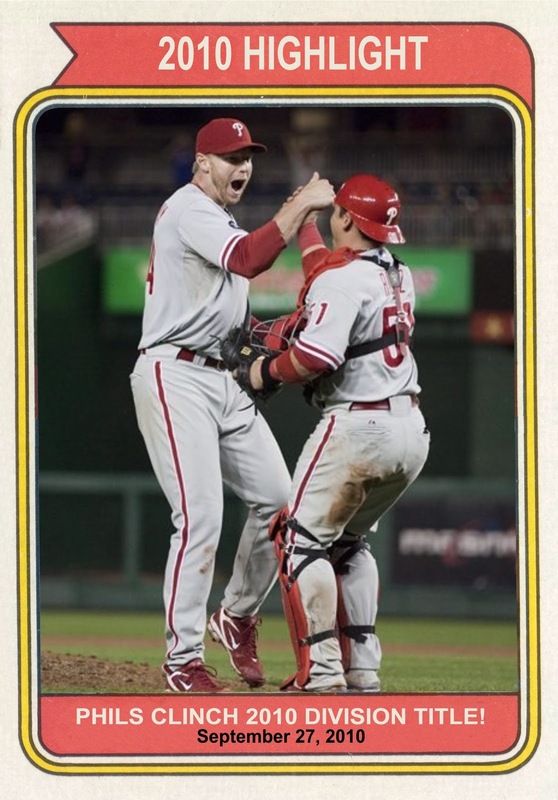 I memorialized what I had said in the 9th inning of that game to our oldest son Doug in a game summary post. Doug was a few months shy of his fourth birthday: "Come here Doug. You have to watch this. I want you to remember this." 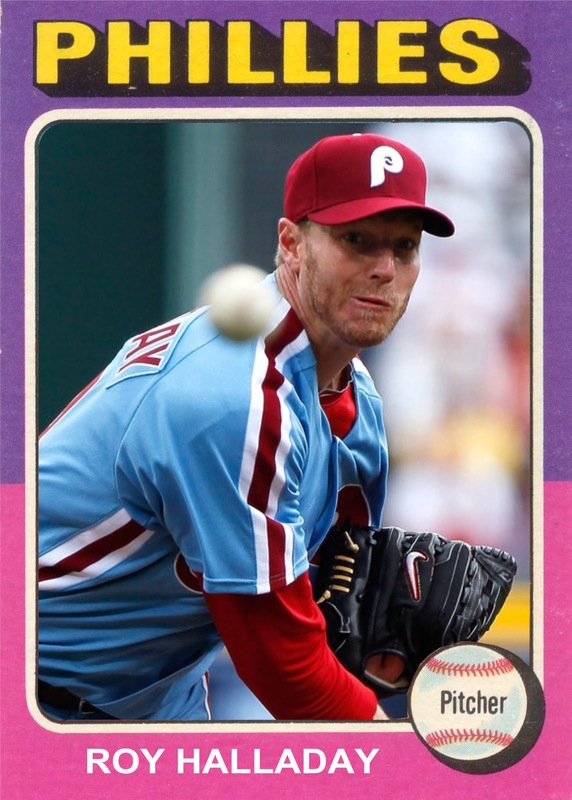 Halladay won the 2010 Cy Young Award, started the 2011 All-Star Game for the National League and he was on the mound on October 7, 2011 when the Phillies played (and lost) their last postseason game as of this writing. 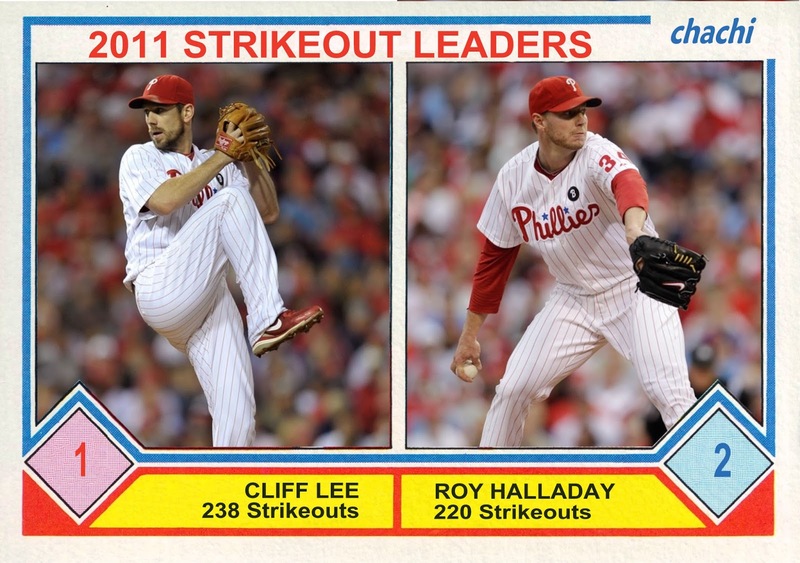 My Dad passed away a week after that game and while he was not responsive during the play-offs, we had enjoyed the 2011 Phillies season, and Halladay's dominance, together. 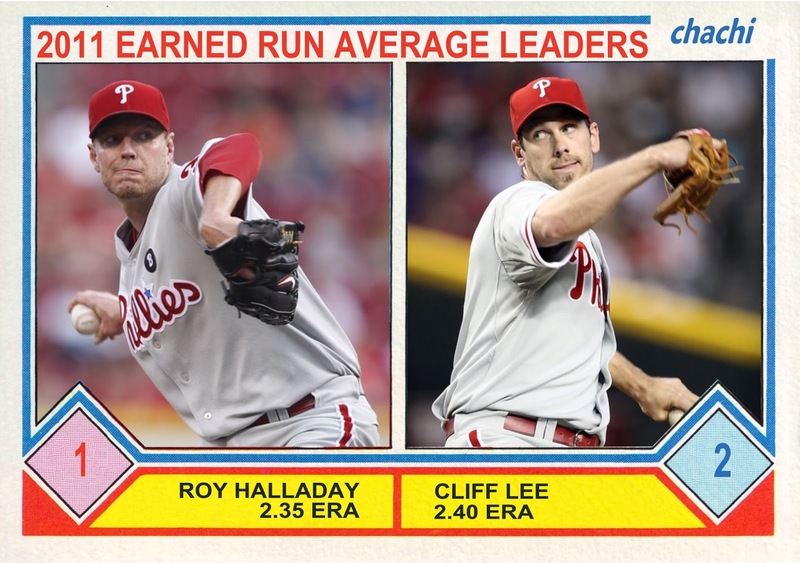 During the last summer he was alive, my Dad enjoyed watching one of the best teams in franchise history, and Halladay played a huge role in that. 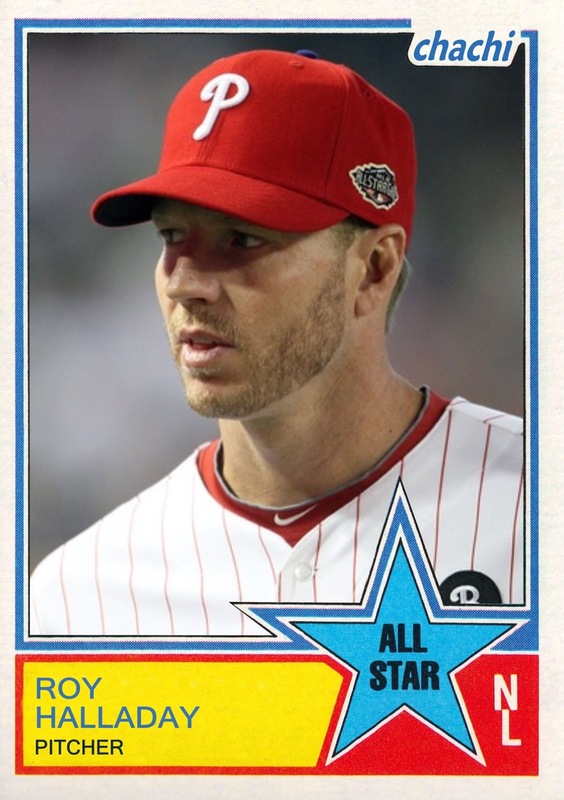 The season after he retired, the Phillies hosted a Roy Halladay bobble-head night and Doug begged to go. 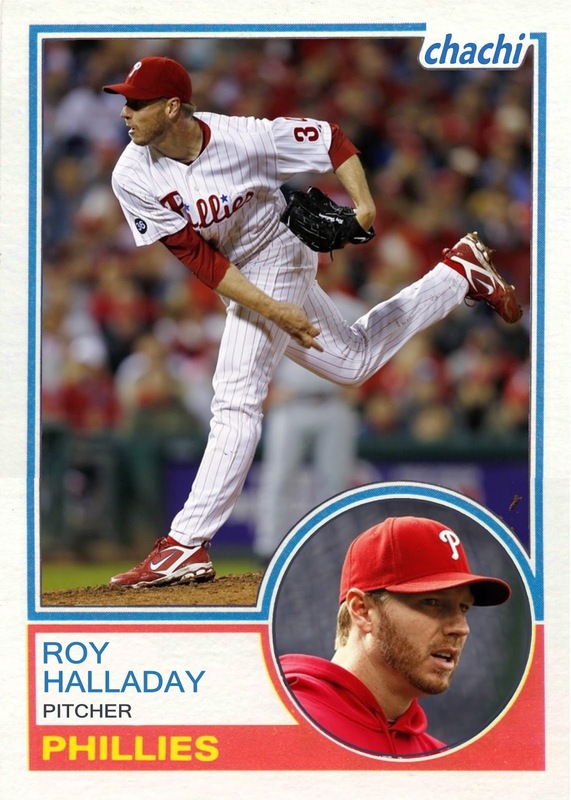 I can't remember why I didn't go, but my wife Jenna agreed to take Doug so that he could get his Halladay bobblehead. 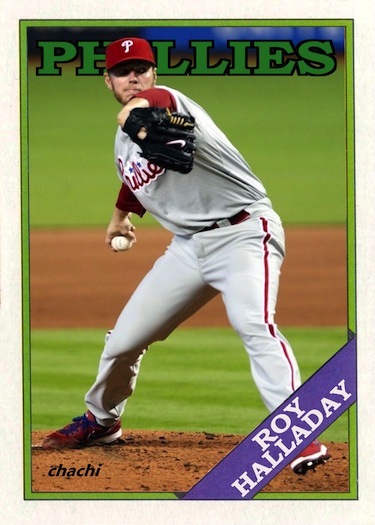 It's now one of his prized possessions in his growing Phillies collection. 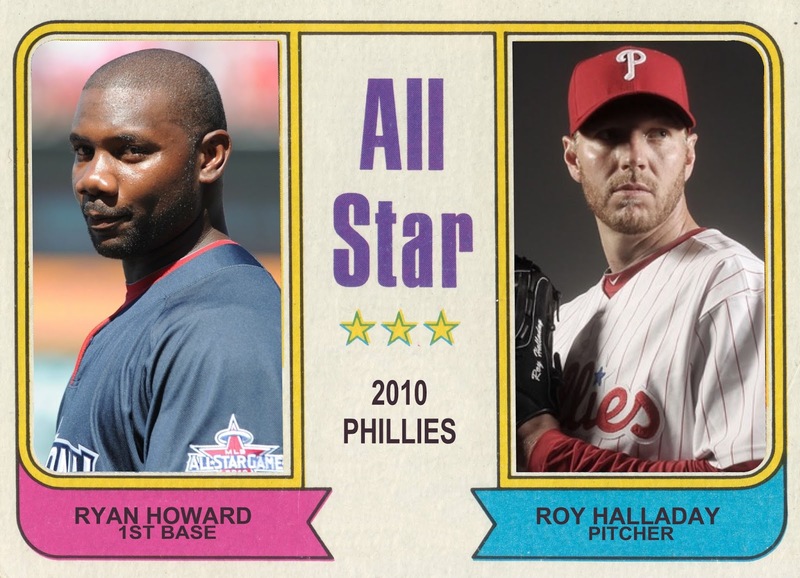 We never met Halladay, although by all accounts I really wish we had. Of course he never knew it, but he played a big part in our family's lives and he provided moments of joy I'll never forget. 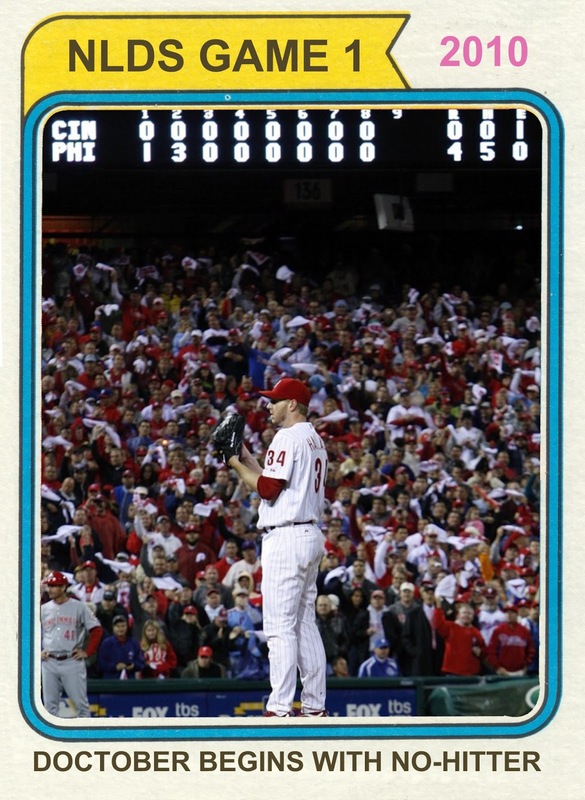 10/6/10 - No-hit the Reds in Game 1 of the N.L.D.S. 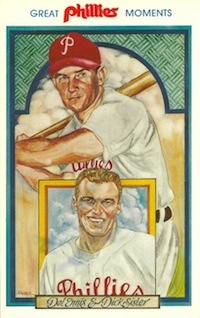 That's a very nice tribute to Roy, Jim. It was a stunning afternoon, and basically no work got done after the news came out. How sad it was. Thankfully, at least, he was alone and didn't have his wife or either son with him. 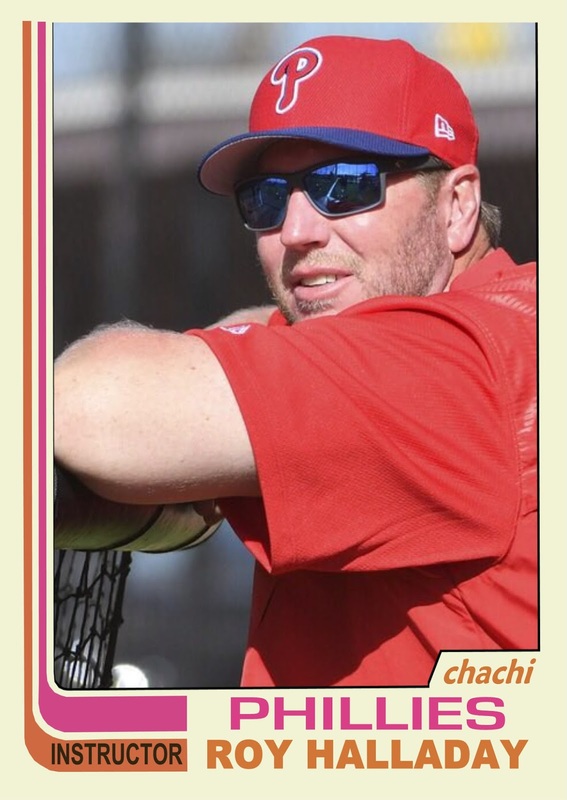 I never met him either--although I did have a ticket for a photo booth with him in 2012 or 2013 at the ALS Festival. I overbought tickets and was running around trying to get photos and autographs. Each time I went by his booth, the line was long. Finally with about 10 minutes to go I decided I'd better get there--but it was already shut down and Roy was gone. 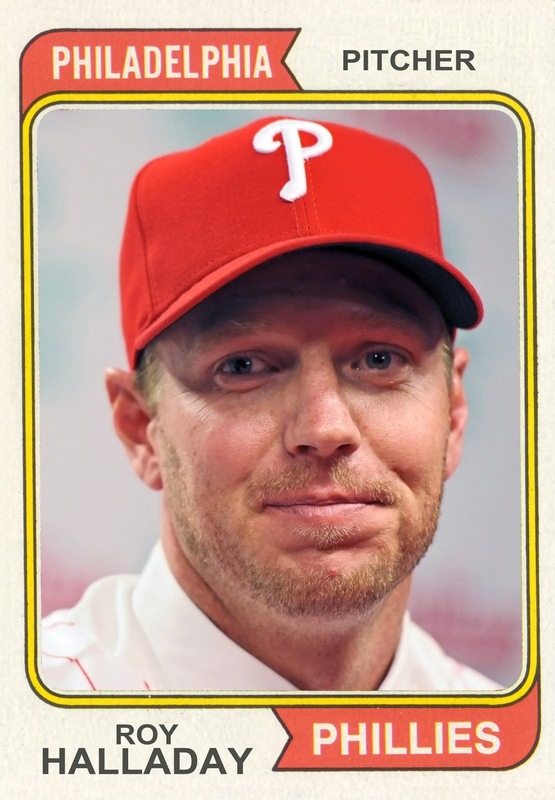 They still had some autographed paper picture frames that would be put around the photos, so they gave me one of those, which I put a Halladay photo into. But what a bummer. 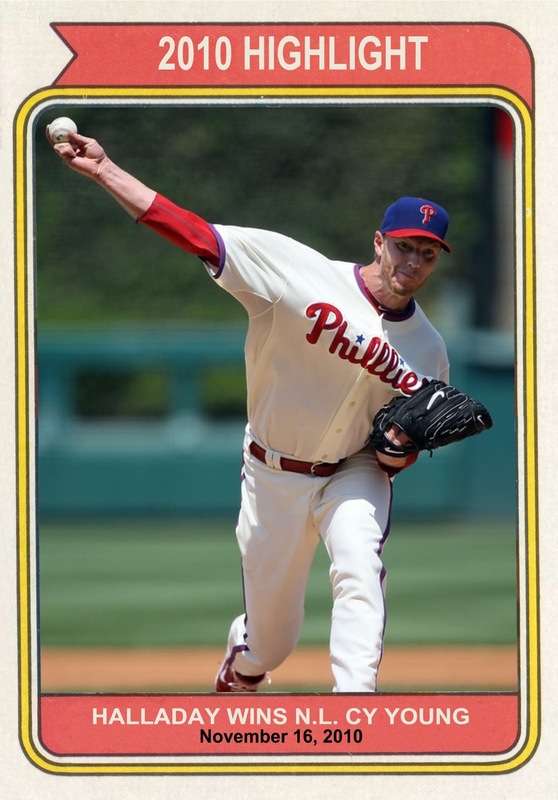 I was lucky to have been at his first start as a Phillie, the famous 2010 opener in DC when Phillies fans outnumbered Nats fans at least 3-1. 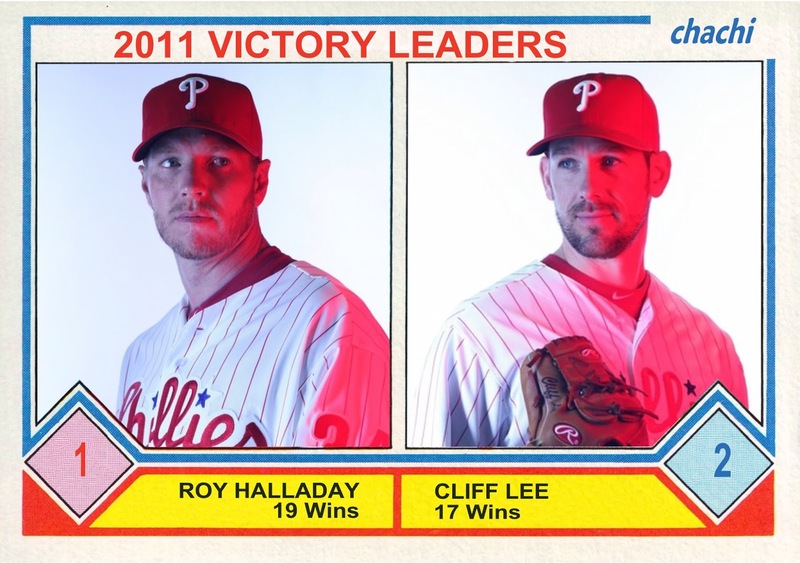 I also saw his 20th win that season at CBP. 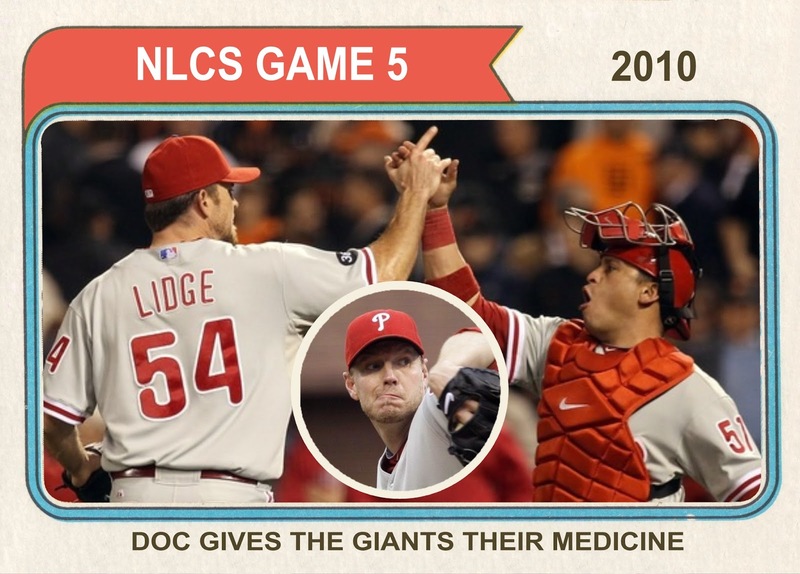 And I saw quite a few other games in person, but not his playoff no-hitter. My wife and I were out to dinner with friends the night of his perfect game. We were tracking that and a Flyers playoff game on our phones. 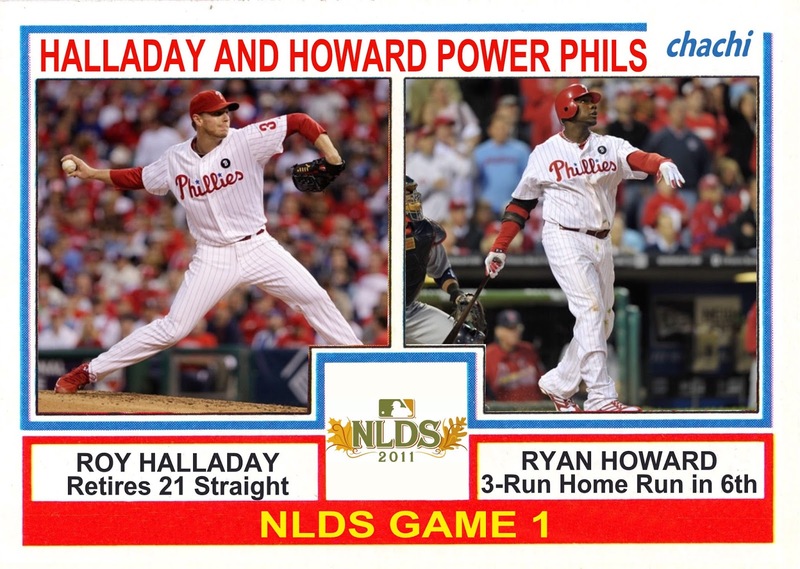 After we finished eating, we headed to the restaurant's bar where we watched the last couple innings with a big crowd of Phillies fans--that was a lot of fun. 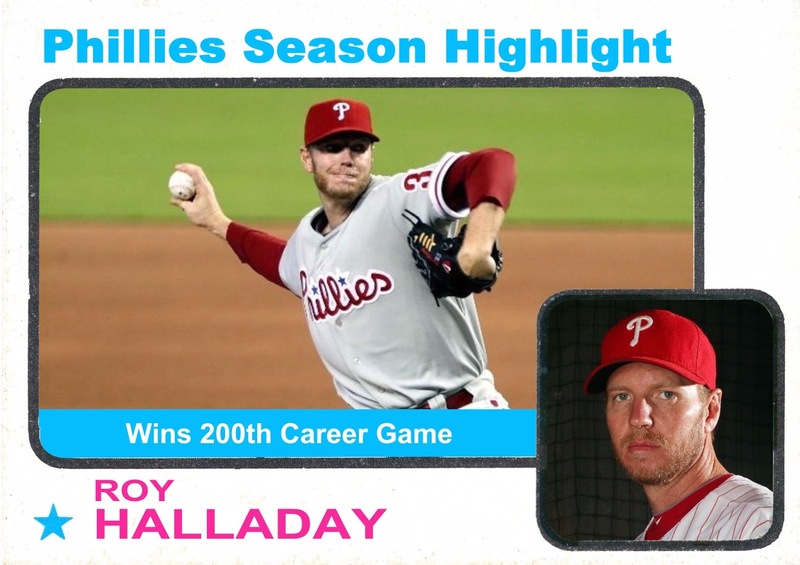 About 5 days later I lay down with my 2-year-old son to get him to fall asleep and I put the Phils game on a radio in just one earbud and listened quietly to Halladay pitching again. 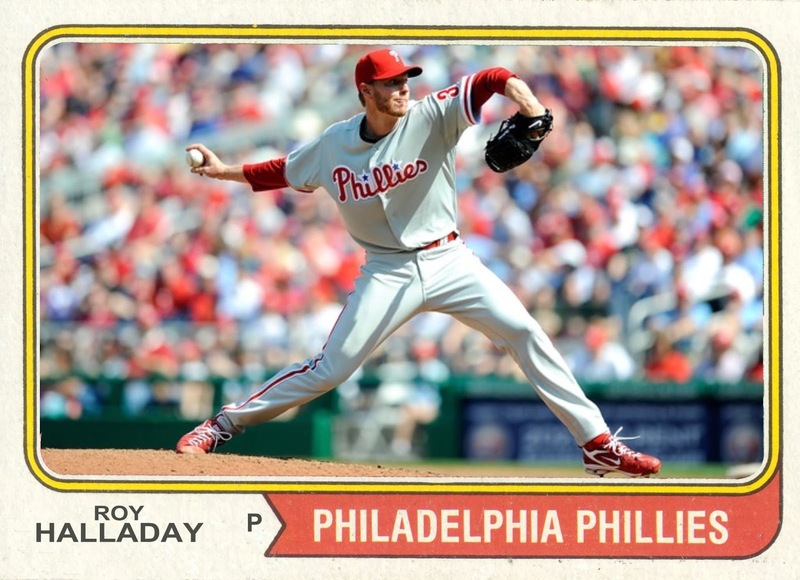 I drifted off to sleep myself and woke up some time later and Halladay was pitching another perfect game. I couldn't believe it and thought I must be dreaming. It was only after a few minutes of my mind cutting through sleep-induced fog that I realized I was listening to a 1210-AM rebroadcast of the game in Miami, since the Phils had the night off. Dang! 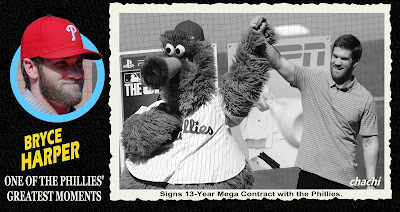 Later of course he did throw another no-hitter--just not two in a row! I will miss him. I was trying to describe how good he was those 2010 and 2011 seasons, and the closest thing that came to mind was watching Carson Wentz now. 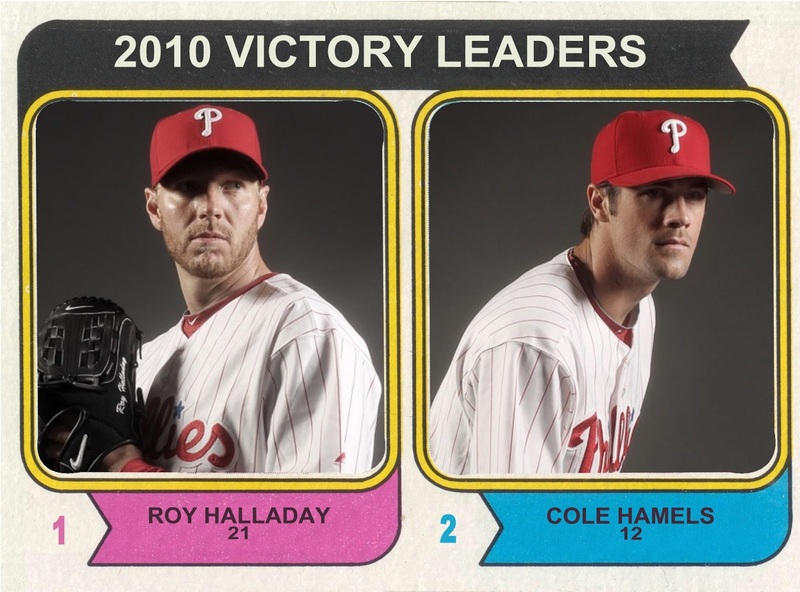 Halladay probably was even more dominant, but he was at least as important to the Phillies as Wentz is to the Eagles.